Kids love this clear dental wax. It is unflavored, but pleasantly cherry-scented -- a fun way to help protect delicate lips and gums while in braces. This high-quality dental wax compares to the leading brand found in stores. Comes in a bright red container. Want to save even more money on cherry-scented dental wax? 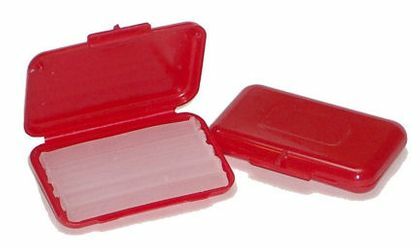 Click here to order a bulk box of 50 containers of cherry scented wax for $29.99!